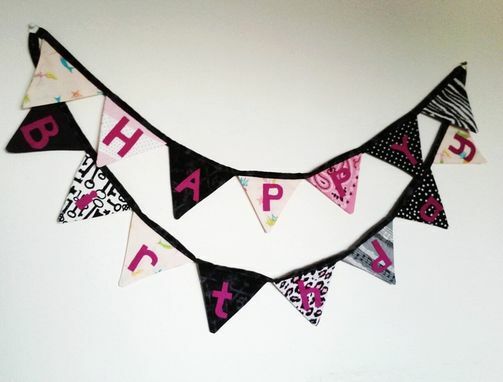 Pirate Princess Happy Birthday Fabric Bunting. Ready To Ship. Party Decor Cloth Pennant Flag Banner. New double decker style! 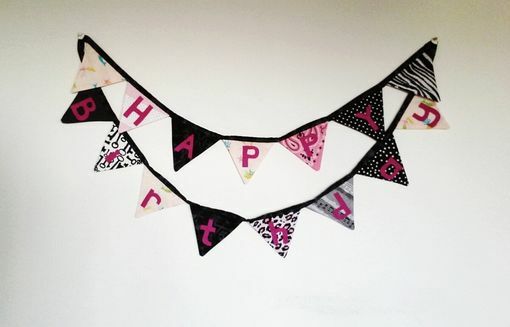 This birthday banner is made and ready to ship, perfect for a girls pirate princess or rock star themed birthday bash! 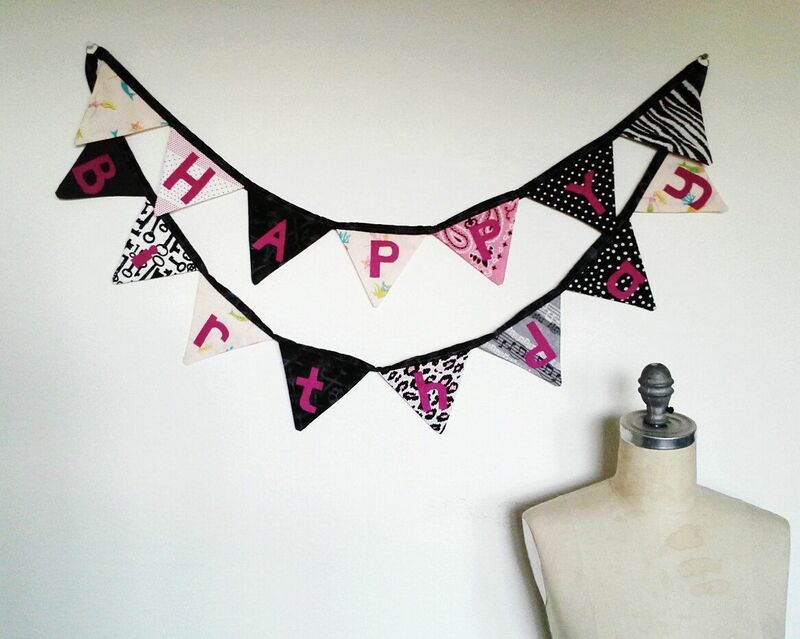 Made of cotton fabric flags in greys, blacks and pinks and featuring animal prints and piratey prints. Hand cut bright pink felt letters spell out happy birthday with style. Length measures about 44 inches total, each triangle is doubled sided and measures approximately 4.5 inches long and almost 5 inches wide at the top. Metal rings on each end allow for easy hanging. Each Birthday bunting comes with a coordinating pouch to keep it clean and safe in between parties. Interested in a different theme? Please message me, I'm happy to do custom orders!